For complete and detailed house cleaning services in Winnetka, call Kulas Maids Inc. We provide one time, weekly, bi-weekly, and monthly cleaning services. Kulas Maids guarantees that you will be satisfied with our cleaning results because we only have one thing on our mind: to fulfill our client’s expectations! 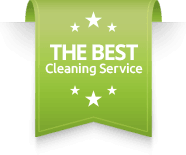 In Winnetka, Illinois 60093, the best house cleaning service you can possibly choose is Kulas Maids Inc. We understand that Winnetka residents only want to hire the best house cleaning services in the cleaning industry. Kulas Maids Inc. has been in business for over 35 years and we promise you our quality and expertise. With Kulas Maids Inc. you are getting a highly skilled team of 4 maids to clean your home. Our qualified maids have the knowledge and skills to efficiently clean your home in a quick manner. You can call our office today for a free estimate or click on our instant free estimate on our home page!